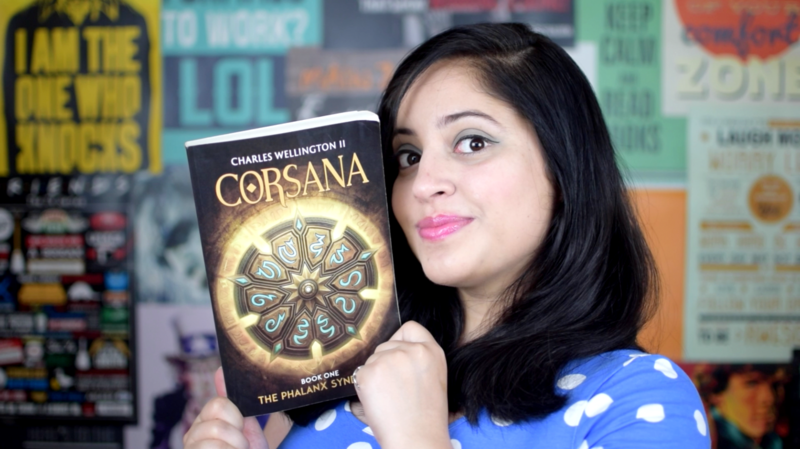 Corsana is a book that you would want to tell your friends about. Honestly, all the while I was reading this book, I thought of what I’ll share in my book review. But in the end, I am too absorbed with what I just finished reading. Corsana is the book one in the Phalanx Syndicate series by Charles Wellington II. It’s a fantasy book with all the mythical and fantasized creatures like orcs, goblins, dwarves, elves, werewolves and vampires. But that’s not all. There are even weirder creatures that come out from the combination of the above-mentioned and some more different imaginary species that were new to me. The book is about this guy, Christopher Knight, whose mind is literally a weapon that he can use to do different things. His city is being attacked and he finds himself in this weird position where he’s being tortured by one of evilest creatures of his world – orcs. Corsana is actually what exists in the parallel universe and is the world where Christopher joins hands with four more people to form a group to free his city of evil. You see a group of five, acting as adventurers, go to different places and complete almost impossible tasks. There are action, emotion, and lots of fantasy in this book Corsana. It comes power packed with action. It begins with a great intriguing opening, giving you a taste of what kind of action to expect and then goes on to open every character in front of you. You see the detailed descriptions of different creatures and settings and you love how it goes. There are several adventures that the group of five take up and there are also times of peace where they fight their inner demons than the actual ones. There are times when they live like normal people fighting their little mental battles and living an interesting life that you would want to know more about and then the action and drama happens that makes you turn pages at a much faster rate. Overall, I believe the fact that I would eagerly pick the book 2 is the answer to what I thought about the plot. It’s interesting. It moves fast and keeps you glued to it. I believe the writing was a great plus point in the book. Considering it a fantasy and considering myself not that comfortable with the genre, I felt great to read this book. I could imagine the characters and how they looked like. I could picturise the scenery and all of it was done in a few words by the author. I liked how clear and concise the descriptions were. They were effective in me being more intrigued about the Corsana world and also feel connected to it. The focus is on the five characters – Rory, Christopher, Chloe, Drendel and Rannstein. Although when you look at the back cover, you will get an impression that it’s all about Christopher but you get to know and love all the five characters in an equal manner. The negative characters and the ones with side roles also make you enjoy the book. I really liked how in between every adventure that was power packed with action, the author went into dissecting the actual characters one by one and made you stay connected with the characters much more than anything else. What do I think about Corsana? Once you hear all the names of the creatures and their existence, you’re bound to point out similarities. The thought of creatures being taken from the Lord of The Rings is obvious. But what I liked about the book is that apart from the creatures, there wasn’t a single moment when I thought it was like this other book I know about or have read. I haven’t read much fantasy but what truly matters is whether the book is enjoyable or not and Corsana is. It entertains you very well and it keeps you going with it. You dive deep into the world and with emotions on point, you feel a great connection. I feel for those of you who like fantasy, adventure, and action, it would be a great read. I am not a huge fan of all three but the fact that I still enjoyed the book A LOT means it’s a really good book that you must give a try. Previous articleHow To Pursue Your Passion After BTech?